When you are looking for a place where you can have all the perks for all your lodging needs, think no other than the log cabins at the Cabins at the Grand Mountain. Thousand Hills Hotel & Resort provides the best log cabin accommodation that can be found in and around the Branson Missouri area. The staff and managers of the resort are hands on and have been dedicated to providing luxury log cabin experience since the inception of log cabin accommodation. The amazing log cabins at Thousand Hills are the best choice for all your vacation needs. When you stay in the amazing log cabins in Branson, you’re sure to enjoy the beauty of nature, unspoiled scenery, the clean waters of the three pristine lakes, and bountiful wildlife. Branson log cabins at Thousand Hills are dedicated to taking the rustic natural cabin experience and enjoying it with luxury yet affordable and accessible location tucked into the heart of the legendary Branson entertainment district. This amazing lodging place at the Grand Mountain assures visitors that they enjoy traditional respect and Ozarks hospitality. Branson log cabins are the most sought-after accommodations in the Ozarks for those who want to spend a relaxing autumn vacation escapade. The beautiful log cabin accommodation at Thousand Hills Hotel & Resort provides guests luxurious and comfortable living that cannot be enjoyed in regular hotel rooms. The great location of the resort will let you experience a relaxing atmosphere as it is nestled in a secluded area. With your cozy log cabin accommodation, you are sure to enjoy a wonderful autumn vacation when you make the most of your vacation budget. The perfect vacation that you can experience at Thousand Hills is sure to provide you a wonderful time as there are plenty of fun activities to enjoy around the tri-lakes area. Thousand Hills Hotel & Resort is one of the most preferred log cabin providers by many Branson visitors as it’s in this place where they can enjoy a wonderful stay with luxury and comfort yet affordable and accessible to many exciting attractions in Branson. 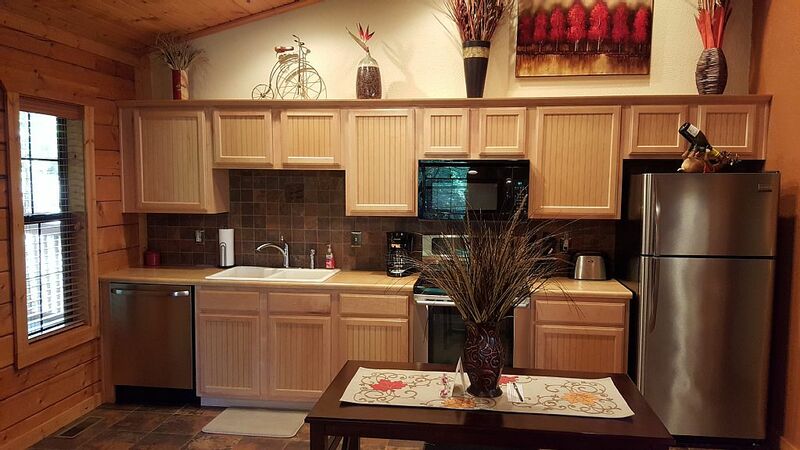 The beautiful location of the log cabins in Branson in a secluded place assures visitors to have an enjoyable and relaxing stay in a calm environment. The convenient location of Branson log cabins gives you the chance to play at the nearby Thousand Hills Golf Course, the most popular 18-hole golf course in town where you will always receive preferential tee times and green fees. At Thousand Hills, you are sure to experience the beauty and magic of the Ozarks yourself – either for a short vacation or for a lifetime. Thousand Hills Hotel & Resort wants visitors to experience a wonderful stay in their cozy log cabins and let them see for themselves why more and more people each year fall in love with it and want to come back again. The great atmosphere that you can enjoy in a cozy log cabin is just what makes this comfy accommodation the perfect place for your vacation escapade in Branson.